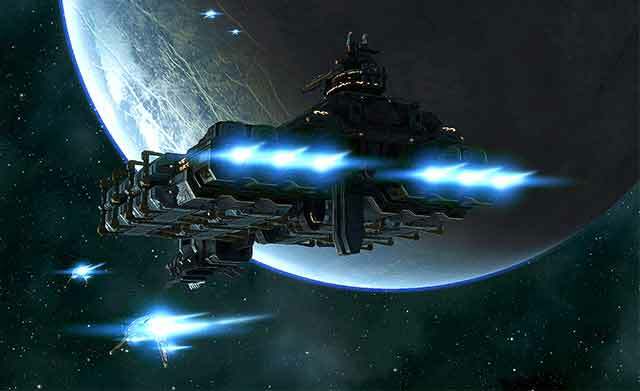 When ‘Excavators’ were added to the game, greatly increasing the amount of ore a Rorqual could harvest, a new sport also became popular across New Eden. The ORE faction ‘Excavators’ are some of the most expensive drones a capsuleer can buy, and like fighters their destruction generates a kill-mail. When a Rorqual activates its industrial core, they can harvest at a minimum three times the ore per cycle. For these reasons pilots have taken to hunting them for sport. Taking the emerging sport to the next level, RiotRick, Executor of the Solyaris Chtonium alliance, launched a bounty program called “Bee Control” specifically targeting ‘Excavator’ Mining Drones belonging to the Imperium. The program started on December 1st and pays out a bounty to any pilot that earns a verified killmail of an ‘Excavator’ belonging to an Imperium member. Below is a submission sent to EN24 from Hugh Caswakk of Solyaris Chtonium <SLYCE>. 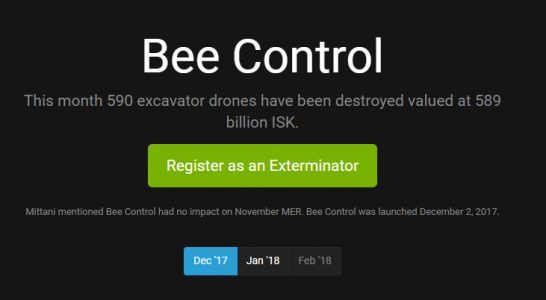 Bee Control, since its inception, has killed 589 billion ISK-worth of Imperium Excavators. 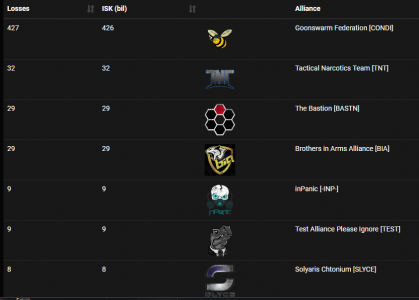 Over 300bn ISK of Imperium Rorquals have been killed. Assorted other losses, such as Procurers and ratting ships, likely amount to a few billion more. This is a significant economic blow. Goons are famously and fabulously rich. Certainly, the denizens of GS_ISK can shrug. However, for the average Goon line member, these numbers are concerning. Replacing even a single flight of Excavators is expensive. Unprotected by generous SRP, this is disheartening. It is worth briefly considering the December Monthly Economic Report. Mining value in Delve is down by 2.365 trillion ISK. Of course, correlation does not equal causation, but this is a very large drop. Of course, Goons may (rightfully) point out that Delve still far out-strips its closest competitors for mining. This is true, but it rings a little hollow to say that when they have taken such a large hit. It will be interesting to see if these losses continue as Bee Control expands. The most outstanding validation of Bee Control’s success comes, interestingly, from The Mittani. Not from his words – we are all aware of his impressive spin, after all – but from his actions. Firstly, he called for a hell-camp of certain Bee Control staging areas. This tells us that the Goon military command team, who are not idiots, felt it a significant threat. But then, interestingly, the hellcamp was swiftly dissolved. Usually, when operations cease, it is either because they fail, or they succeed. Considering the objective of the hell-camp, and the ongoing activity of Bee Control, I think we can safely say that it failed. Secondly, in a Fireside Chat, he pointed out that Bee Control had no impact on the November MER. This is true. It is also unsurprising, considering Bee Control was founded in December. The Mittani is not a stupid person. This was a deliberate statement to encourage line members. It is interesting, though, that he chose to lie to them. Lastly, he started up the Thunderdome, a copy of the Bee Control program. This was presumably to distract from Bee Control’s efforts. As of writing, it has killed 55 drones and no Rorquals. This is under 10% of Bee Control’s efforts – a slightly anemic showing for such a large coalition. We all know that Bee Control will never actually destroy the Imperium. But it is proving to be a thorn in their side, both financially and politically. And it is a thorn which the Imperium seem near entirely unable to pluck out. Only time will tell for sure, but to me at least, it looks like Bee Control is off to a good start. Eryaman yeni ve lüks yerleşim alanlarına sahip bir semtimizdir. Şehir merkezine kıyasla burada apartmanlar yerine burada siteler boy göstermektedir. Eryaman evden eve nakliyat işlemine de bu nedenle duyulan ihtiyaç fazla durumdadır.Ankara merkezinde bulunan firmalardan ziyade bu semtin içerisinde dahi kurulmuş sadece o semte hizmet veren kuruluşlara rastlamak mümkündür.Eryaman nakliyat alanında uzun yılların kazandırdığı tecrübeyle görev yapan ve bu görevini hala devam ettiren nadir kuruluşlardan biride Deha Nakliyat şirketimizdir. Burada yer alan diğer firmalara kıyasla firmamız kurumsal kimliğe sahip kendini kanıtlamış durumdadır. fantastic article to increase my know-how. Leave a Reply to Cornelia Trullinger Click here to cancel reply.